SSC free paper question and answer, SSC Tier-1,2,3 Combined Graduate Level(Tier-I) Examination, 2013,Ministries/Deptt. of Govt. of India written examination on 14.04.2013 &amp; 21.04.2013 Staff selection commission recruitment procedure written test examination pattern and Scheme of the examination for combined graduate level examination(Tier1,II and III)SSC stands for staff selection commission upcoming recruitment examination and test pattern SSC previous year model written test examination question paper and answer Previous question paper with solution, SSC written examination detailed analysis and detailed selection procedure and test pattern for upcoming recruitment exam Staff selection commission recruitment procedure written test examination pattern and Scheme of the examination for combined graduate level examination(Tier1,II and III). SSC Combined Graduate Level Examination (Tier-I)-2013 Model Test Paper of Numerical Aptitude – Questions and explanations. 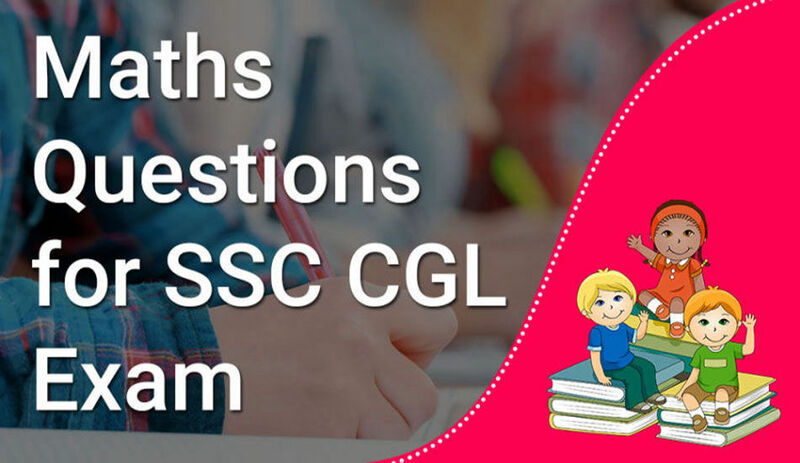 Very important Maths Questions for SSC CGL Exams. You can easily score extra with the help of Maths Questions for SSC CGL Exams. Practice with these important Maths Questions for better results in exams in maths section. You should also check GK Questions for 2018 blog for complete GK Questions. Here are related blogs Time and Distance and Important Questions of Profit and Loss for SSC CGL Exam.